If you’ve ever looked into promoting your Facebook page, you probably have noticed Facebook’s boost post buttons next to your posts. While this blue friendly button might appear to be an easy way to bring some extra eyeballs to your page I would strongly recommend you NOT to use boost post. Why? The short answer is that it’s an inferior tool that leads to inefficient use of your marketing dollars. For the long answer, as well as what you should use instead of Facebook boost post keep reading our list below! While you can target certain groups with Facebook boost post, there are no options to apply layered targeting. This means you won’t be able to target users who fits interest 1 as well as interest 2. Facebook boost posts also don’t support custom audiences or lookalike audiences which are extremely important tools for reaching your audience. 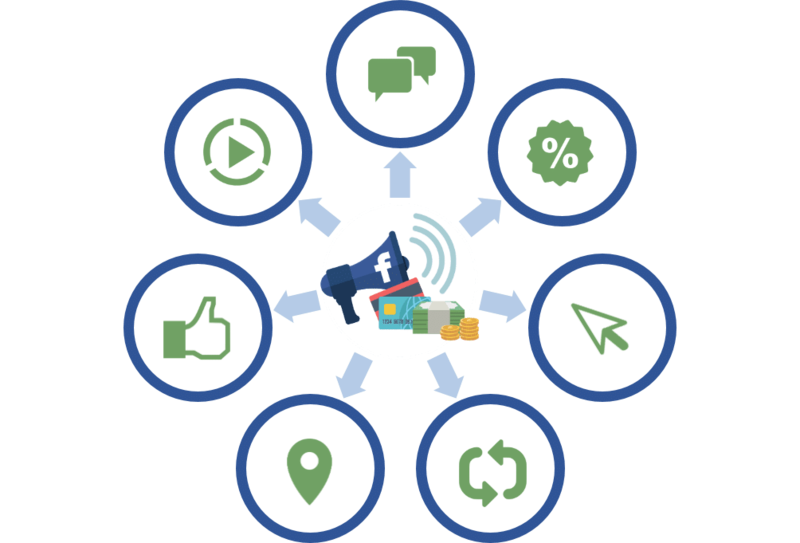 To maximise your advertising ROI we strongly recommend using Facebook’s power editor or adverts manager to handle all Facebook advertising. When you boost a post, Facebook automatically applies the “Page Post Objective”. This optimises your post fo generating likes, comments and shares. Depending on your marketing objectives, this might not be what’s best for your campaign. Facebook optimisation options make a huge difference on the outcomes of your ads. Using Power Editor or Adverts Manager you can select to optimise for website clicks, video views, page likes and even online sales. Your needs will determine what optimisation method to select but with Boost Posting you won’t ever get that choice. Facebook places ads within their platform and partner apps in a variety of ways. By default, Facebook automatically places your ads where it believes will best achieve your goals. Although most of the time allowing Facebook to handle your ad placements is fine, there may be times when you’d want to greater control over where your ads show up. Power editor and adverts manager both give you the option to manually control your ad placements. This lets you choose what platforms and formats your ad shows up in. Having this level of control can help you tailor your creative and avoid unwanted exposures. For example, you can avoid placing ads next to controversial or adult content. Ultimately the problem with boost posting is the lack of options and control. It might take a few minutes longer but creating ads through power editor or adverts manager provides the tools needed to maximise your advertising ROI.